We’re counting down to 2017 with a bang and it’s especially important for us as Chinese New Year is also around the corner! We invited Ribena Singapore to partake in our celebrations by entering our Share Food kitchen and together with our talented Share Food home cooks, we've come up with delectable and savoury Chinese New Year dishes using Ribena! 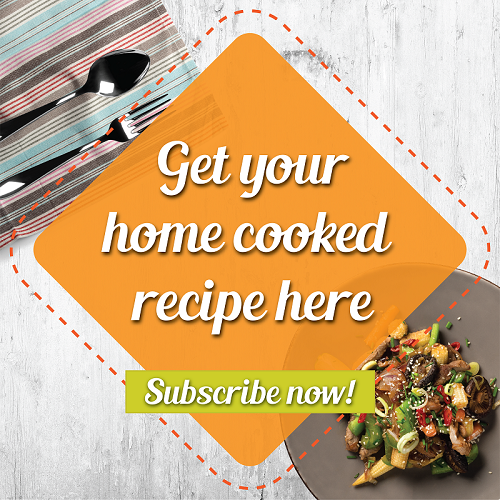 You might be thinking that infusing Ribena with savoury dishes is, well, not exactly common! And, it isn't but it was #challengeaccepted for the innovative Share Food home cooks. First up, we have Josephine Go's Blackcurrant Prawn with Superior Dark Sauce (香炒黑加仑虾) to usher in the New Year with lots of laughter and good fortune with this tasty recipe! Prawns (虾) represent happiness and good fortune and infusing it with Ribena makes it a perfect unison of sweetness and joy or how the Chinese would say "甜甜蜜蜜". Good cheers to everyone as we look forward to a brand new year! 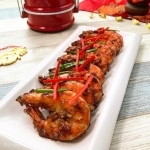 Presenting Josephine Go's Blackcurrant Prawn with Superior Dark Sauce (香炒黑加仑虾) to usher in the New Year with lots of laughter and good fortune with this tasty recipe! Prawns (虾) represent happiness and good fortune and infusing it with Ribena makes it a perfect unison of sweetness and joy or how the Chinese would say "甜甜蜜蜜". Recipe adapted from Josephine Go，Blogger @ BeyondNorm.